Sara Grawe is a Registered Nurse and Lactation Consultant, and Childbirth Educator with extensive women health experience. Her business, Mama Bear & Infant Care, helps women meet their breastfeeding goals through lactation consultation in the privacy of their own home, along with Women & Infant Health classroom-based education. You can learn more about her business at www.MamaBearInfantCare.com. After completing her Bachelor of Science in Nursing at the University of Virginia, Sara began her career at a birth center in Texas providing prenatal, childbirth, and postnatal care to clients. 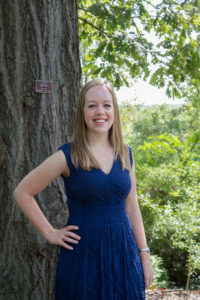 Upon return to Northern Virginia, she worked in Inova’s Family Centered Care (postpartum) unit as well as with the Arlington County Department of Health Services in Teen Health & Family Planning Services. While completing her Master of Science in Nursing at the University of Pennsylvania, Sara worked as a Lactation Consultant RN at Pennsylvania Hospital. After becoming a mother, she decided to open her own business to help other women enjoy breastfeeding and motherhood. Sara lives in Arlington, VA and loves spending time with her two year old daughter, husband, and black lab. In her free time, she serves as the current Expectant Moms Coordinator for MONA (Mothers of North Arlington). Sara is a compassionate provider who enjoys working with new mothers and babies to solve breastfeeding concerns!